At Dance Theater of New England we believe that performance is a significant part of a young dancer’s educational experience and a vital extension of the many benefits derived from dance training. Each class will have one dance and costume in our annual production. Every dance in the annual production will have its own costume. Headpieces are included in the costume package. Students will be responsible for tights. Each class will be notified as to specific tights. Costuming a recital is a labor intensive task that requires measuring, ordering, checking the order, and trying to predict which students are going to grow beyond the measurement allowances. Altering costumes is sometimes inevitable. Please see the front desk if alterations are needed. Volunteer Opportunities - There are plenty of opportunities to volunteer before and during the recital. Each year parents kindly help with altering costumes, preparing sets/props and helping out backstage. Tickets – Tickets will be sold electronically, see above for the link. To be eligible for electronic ticket purchase, all tuition balances must be paid in full by Monday, May 1, 2018. Senior Class Priority Seating will go on sale on Monday, May 8th at 8pm. Regular Dance Family seating will go on sale Monday, May 15th. at 8pm. Please be sure of which show you are attending. There are no ticket exchanges or refunds. You may purchase as many tickets as you would like. All dancers planning on watching the show must have a ticket and must sit with their parents. Extra tickets may be offered at the door after all orders have been filled; however, we cannot guarantee availability. Tickets are $25.00 at the door. Handicapped seating is available; please inform us in writing by May 6th, before you purchase your ticket tickets online. 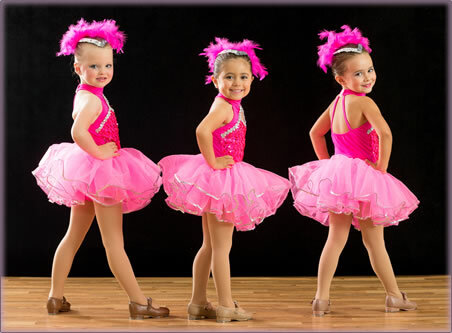 Dancer's with unpaid balances will not participate in the dress rehearsal or recital. Absolutely no videotaping or flash photography will be allowed during the Recital or Dress Rehearsal - Videotaping is an infringement of copyright laws and flash photography is dangerous to the dancers! Recital DVDs - Contact Digital Video Productions for your copy of our 2017-18 DVD at dickosso@mac.com. DTNE Dance Awards – Dancers who have danced at DTNE for 5 or 10 years will be recognized with a special trophy and will be listed in our recital program. A list of dancers receiving awards this year will be posted at the studio. Please be sure to check the list to be sure that your dancer is listed if they qualify. We do our best to keep our records up to date, but sometimes we miss someone, especially if they have not been at the studio for consecutive years. Dress Rehearsal for our June Recital is held on stage at the Recital venue. Participation in dress rehearsal is mandatory. This is a run through of the entire show without stopping. The dress rehearsal allows the students to become familiar with the auditorium surroundings and feel comfortable with their performance, costume and just being on stage. Lighting, music cues, set changes, and other logistics for a professional show are rehearsed at that time. Please note, Dancers with unpaid balances will not participate in the Dress Rehearsal or Recital.